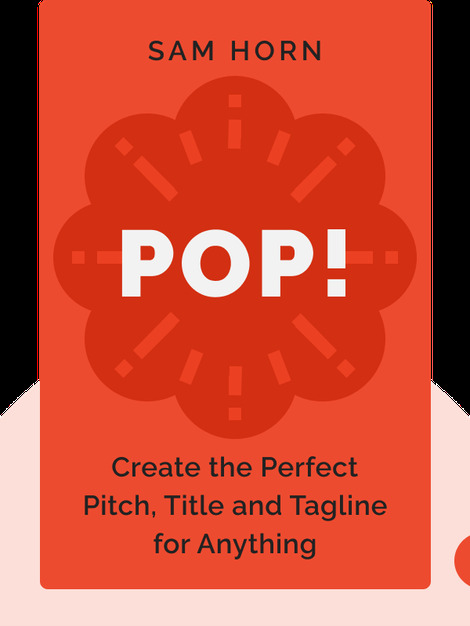 This book shows you how to craft messages and ideas that stick in the minds of your audience because they are Popular, Original and Pithy. 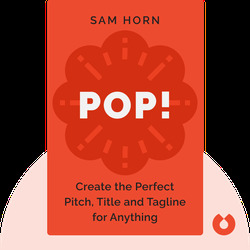 Author Sam Horn offers a highly adaptable and systematic approach to creating pitches, titles and taglines that grasp people’s attention and win them over to your brand, product or idea. Sam Horn, communication expert and founder of Intrigue Agency, is widely known for her award-winning speeches and highly interactive workshops on effective communication. An expert on branding and innovation, she has written books such as INTRIGUE and Tongue Fu!, and worked as a pitch coach for Springboard Enterprises, helping entrepreneurs design and deliver effective pitches.